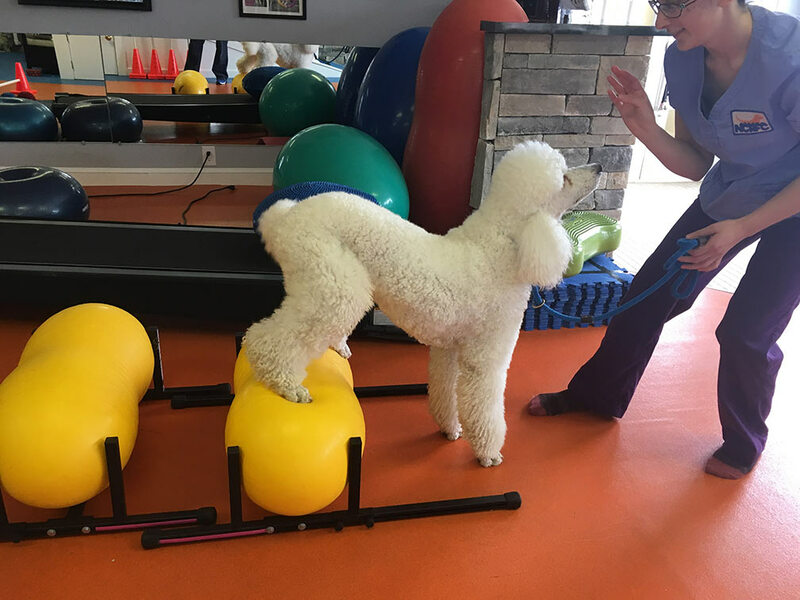 Northborough Canine Rehabilitation and Fitness Center is a canine physical therapy center specializing in the rehabilitation of injured or post-surgical dogs. NCRFC is a physical therapy center for dogs located in Northborough, Massachusetts. Services we offer include, Massage Therapy, Therapeutic Exercises, Hydrotherapy, Laser Therapy, Chiropractic Adjustments and Specialized In-Home Pet Sitting. Our caring staff works together to create a customized treatment plan for your pet, based on your Veterinarian's recommendations and physical evaluation. Canine Rehabilitation can help relieve pain and increase strength and mobility, especially in post surgical repairs, non-surgical injuries, degenerative diseases and more. Help your best friend feel better.